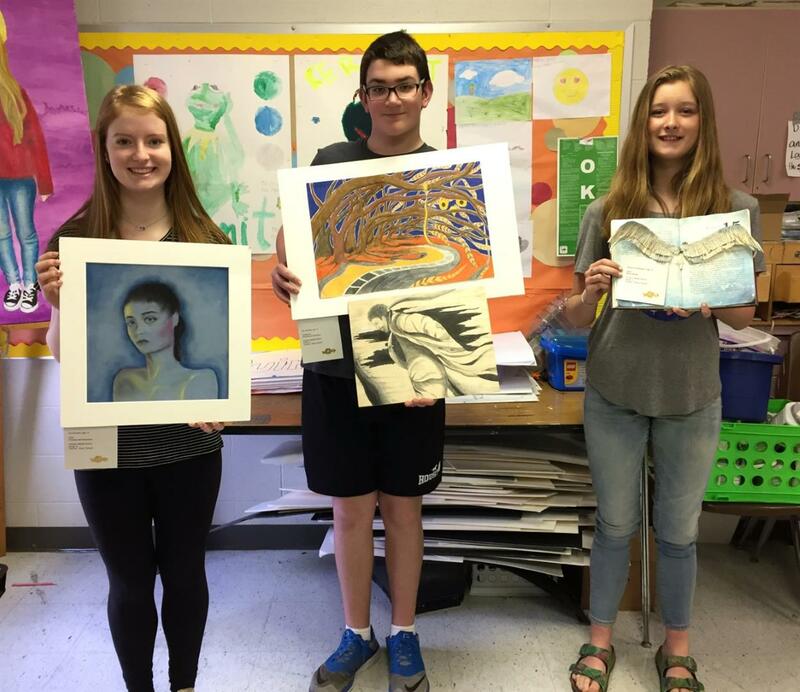 Three HMS art RTI students recently won Scholastics Gold Key awards. Rachel Christenbury, 7th grade, with her sculptural book piece titled, “Flight”. HMS art teacher, Ms. Nickell, also had multiple Silver Key winners and Honorable mention winners totaling 17 awards this year.